In these times of strain on our political discourse, it can be refreshing to look back to our founding fathers for inspiration. 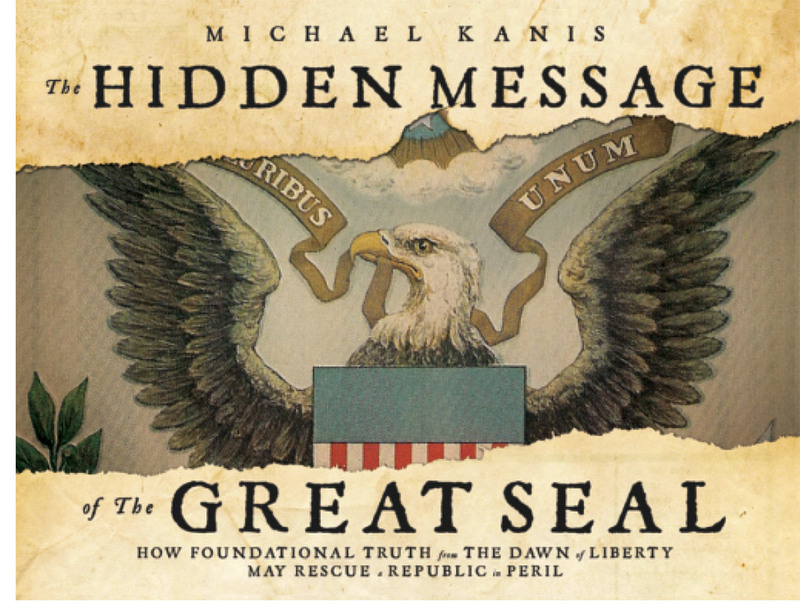 That's one of the reasons why Holland Litho was so pleased to have produced a book on the symbology of the Great Seal of the United States, The Hidden Message of the Great Seal. The United States seal contains a message which has importance on a level equal to that of the Declaration of Independence and the Constitution. Many people mistakenly believe that it has a connection to Freemasonry or the occult. The idea is easily disproved because of a report to Congress that explains the seal. In reality, the founders embedded a message in the seal that offers hope for the nation. They believed that virtue, freedom, unity and faith in a providential God are needed for the function of democracy. This book takes us on a journey of exploration and discovery which reveals the hidden message—one that very well may rescue a republic in peril. Author MICHAEL KANIS has made a career in business, first in technology and innovation for a Fortune 500 firm, and then at the other end of the spectrum with his own very small wholesale distribution business in the building materials industry. He has a B.A. in Business, and an M.B.A. in Finance and Operations. His career has afforded him a breadth of experiences and allowed him to travel globally, interacting with people from all walks of life. He is a man of deeply held beliefs and faith in God with a conviction of the vital role of Christ-followers to testify to the light. Michael is 54 years old and lives with his pride and joy, his wife Tina and their four very special kids in Holland, Michigan. On July 4, 1776, the first act of the new United States was to call for the creation of a national seal. They called on three who had only just completed another document of historic significance, the Declaration of Independence. Jefferson, Adams and Franklin rose to the task by creating the basis for the national seal, which would join its place with the declaration and the constitution as a triumvirate of founding documents. But what they did was not only design symbols for a seal, they used allegory to entrain a hidden message within those symbols. This true story is an adventure in exploration, uncovering the meaning of those symbols and the message hidden within the seal. Our journey takes us to some unusual places... the arid, windswept wilderness of the Sinai fifteen hundred years before Christ; Jerusalem rising from its ruins in the sixth century BC; the dazzling color of the frescos on the ceiling of the Sistine Chapel in Rome; the intrigue and assassination plot during the formation of the sixteenth century Dutch Republic; the spectacle of the glittering Roman legions crossing the Rhine frontier to be humbled by Julius Civilis in 70 AD: the seal takes us to some fascinating places and times. We uncover meaning in the ancient covenant made by God with Abraham, discuss political theory on the roots of democracy, explore the meaning of freedom and draw near to the providential love of God. The story is bursting with surprises as we discover the secret message which has been hidden from the day it was written into the Congressional Record on June 20, 1789 until today. Astonishingly, we will also see for the very first time in over 230 years, the seal in a completely faithful and accurate graphical expression, true in every detail. And armed with the meaning of our great national treasure, we consider the admonition of the founders to those for whom the message was hidden as if in the ground and born across the centuries to reach us now as we assume the mantle as guardians of the republic. Once again, congratulations to Michael and thanks to him and his team for choosing Holland Litho.